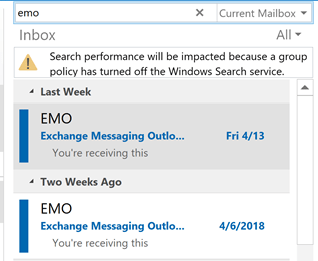 You can no longer change the Archive folder for Outlook.com & Office 365 Exchange accounts. 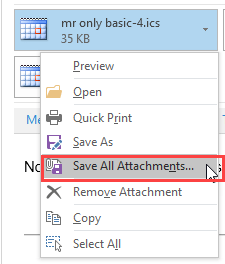 Outlook creates a folder called Archive that is used. POP and IMAP users can select the desired folder to use for Archive. After the latest build of Office 2016 (16.0.6741.2014) is installed, users will see an Archive button on the Home ribbon, next to Delete and also in opened messages. This build was released as the Insider/First Release build March 8 2016. This button is an extension of the Archive feature available in Outlook for iOS and Android, and in Outlook on the web, offering one-click to archive messages to a single specified folder. When you use a Microsoft Exchange account (including Outlook.com and Office 365 business email), the Archive folder is created automatically. If you use a POP or IMAP account, the first time you use Archive, you'll be asked to let Outlook create an archive folder called Archive, or you can select an existing folder. You can select a new folder at any time (or look to see what folder you have set as the archive folder) from the File menu. Click Tools then Set Archive Folder. 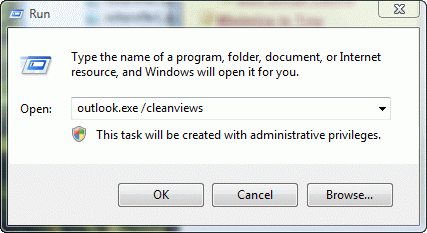 Note: this is not the same as Outlook's AutoArchive or manual Archive (which is now called Clean Up Old Items). This new Archive button files everything into one folder. AutoArchive and Clean Up Old Items moves older messages to a separate .pst file while maintaining the same folder structure. Is there a way to remove this button? The customize the ribbon doesn't allow it to be removed and I keep clicking it instead of delete. While you can't remove it from the default Delete group, you can remove the Delete group and create a custom group that doesn't contain the Archive button. Right click on the end of the ribbon and choose Customize the Ribbon. Select the Delete group under Home (Mail) on the right. Click New Group button. This adds a new group under the Delete group. Click Rename and rename it to Delete, if desired. Select the default Delete group and click Remove. 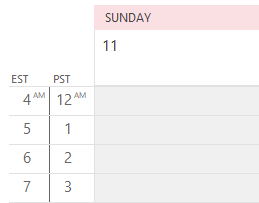 The group you added should be selected. Select Main Tabs from the Choose commands from field on the left. Expand Home (Mail) then expand the Delete group (on the left). Select the first command, Ignore, and click Add, keep clicking Add until you get to Archive. To remove it from messages, open a message and repeat the steps above. To disable the Archive feature see Using Outlook 2016's Archive feature: Disable Using Command ID. To disable the backspace shortcut key, see Disable the Backspace keyboard shortcut. Disabling backspace as a shortcut only affects shortcuts, not the use of the key when typing. Published March 9, 2016. Last updated on October 15, 2018. Diane. I had a user who did not use the button but hit backspace. So disabling the button is not helpful since it was not using the button. Does disabling the button also disable the key command? Thank you soooo much for all you do. I rely on your expertise time and again! No, disabling the button doesn't turn off the shortcut key, unfortunately. You can disable the shortcut - https://www.slipstick.com/outlook/outlook-2016s-archive-button/#backspace - this won't after its use when typing but will affect its use in any shortcuts. This was extremely helpful! Thank you very much! "You can select a new folder at any time (or look to see what folder you have set as the archive folder) from the File menu. Click Tools then Set Archive Folder." When I click on the Tools drop down menu, I only see Mailbox Clean up and Empty Deleted Items Folder. Is there a registry key or some other way I can change the default folder the archive folder uses? They removed the ability to choose the Archive folder a couple of builds ago and started creating the Archive folder. Now everyone needs to use the default Archive folder. The folder setting is stored in the mailbox, so no, there is not a registry key for it. Sorry. Any idea how to change it back? I reimaged a machine and installed 1807 Office on it and the archive button is still pointing to a "Transit" folder that I created. If it's a POP or IMAP account, you can change the Archive folder. For Exchange accounts, I would try renaming the folder. That should trigger the server to create the Archive folder. I don't see a way to do it within Outlook 2016 for mac, either in tools, or preferences. It doesn't appear on my ribbon. If I add the command (customise) - the option is greyed out. Any ideas? What type of email account do you have? It may not support the Archive button. AFAIK, only Exchange ActiveSync accounts didn't support Archive but those accounts are no longer supported either.